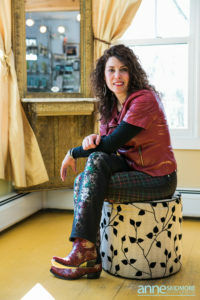 There is much to talk about for the future of Debony Salon, it’s staff, and its customers! As many of you may have heard through the grapevine, we are hoping to give the salon and spa a face lift. Well it’s a little more than a facelift but that is still to be determined. While the specifics of this project are being worked out the process has had me really looking at this business under a fine microscope. What a journey it has been! Whenever change comes around, there is uncertainty. I have heard some concerns from both staff and customers. It is to be expected. I wanted to share them here because, I am sure, others may share these concerns. The big ones are accessibility, and availability. This is one of the most important aspects for our building. I hope to improve the accessibility by upgrading and improving the walk in the front. We will also hope to incorporate a second entrance in the back with a sheltered entrance that will gain access to space that is ADH compliant for all services without having to negotiate steps. always been! April will always have me taking some time to work on all things Debony. We have been doing this for a few years now, and it works quite well. Taking time at a few different points during the year allows me to keep up with this organization and focus exclusively on the business aspect. This approach reserves the time behind the chair for my customers, giving them full attention and allowing my focus to be on the art of hairdressing. I have really had to work hard to figure that out. You may hear me say from time to time to the staff, “I’m Debony the hairdresser right now, not Debony the boss!,” protecting our time together. I will start a new schedule in May. The salon will now be open on Monday! Sara Goulet will join me on that day. It will be the Sara/Debony show, like the old days! If you are having trouble getting an appointment, please know our cancellation list is a real thing! The front desk works off of that list everyday, so don’t be afraid to take a spot there. Finally, your voice and opinions are important to me. I love hearing from you. If you ever have concerns or suggestions please feel free to reach out to me. 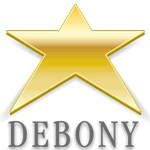 The quickest way to be in touch with me is by email: debony@debonysalon.com . If this weather is getting you down, come in and see us, we’ll bring warmth and light to you!